A favorite expression of mine that was printed on a poster that used to hang in the choir room of our church held these simple words: Bach gave us God’s Word; Mozart gave us God’s laughter; Beethoven gave us God’s Fire; God gave us music that we might pray without words. Having been raised on much of the classical music that has endured for centuries, I know the works of all three of those great composers and I can see how they relate, from the pastoral, religious overtones of a Bach organ piece, to the lighthearted and spirited feel of a Mozart opera and the invocative, thunderous power of just about everything Beethoven ever wrote. I came to appreciate each one of these and many more of the great classical composers over the years….but first, there was Simon and Garfunkel. Their music made me a very happy child and according to my cousin Kathy, I was already memorizing lyrics and singing them when I was two years old, long before I knew what talent was and that it was something those two had so much of that it was coming out of their ears. I don’t know what it was about their music that made me happy but I imagine it was because most of it was light, upbeat and catchy, possessing interesting lyrics that were hard to forget. Once piece, however, was kind of an oddball, neither light, upbeat nor catchy; instead it was powerful, uplifting, spiritual and memorable and to this day, remains one of the most popular songs ever performed by the duo, ranking as my personal all-time favorite. Even its name, “Bridge over Troubled Water” was different for them but its deeper meaning was lost on this small child who thought the name referred to the long, narrow bridge that used to span the sometimes turbulent and “troubled” waters of the Ocmulgee River on the eastern border of my home county. If their other music could bring a happy smile to my face, this piece of music, with its warm piano tones and soaring violins blended in perfect harmony could make me feel both joy and a little bit of a Divine presence. This past weekend, XM radio paid tribute to the team by creating the Simon & Garfunkel channel for a limited run, featuring virtually all of their collective musical works as a tribute to the 40th anniversary of “Troubled Water”. My son and I were out running errands in the neighboring county when that song came on the air and I felt that familiar sense of peace as the beautiful notes of the piano introduced words that could have well been spoken straight from the mouth of God….”when you’re weary, feeling small, when tears are in your eyes, I will dry them all…..when you’re down and out, when you’re on the street, when evening falls so hard, I will comfort you….I’ll take your part, when darkness comes and pain is all around, like a bridge over troubled water, I will lay me down/I will ease your mind”. Such magnificent words deserved an equally magnificent musical score and on this, they delivered both in equal measure, the result of which was a powerful , spiritual expression of the comfort we all need at times. Once, when I was very small and before I had a brother to share a room with, an early nighttime summer storm approached our house and I lay in my bed as the darkness of my bedroom was punctuated randomly by the bright, persistent flashes of lightning. As the storm drew closer and more menacing with each passing minute, each flash cast distorted shadows and illuminated familiar objects, making them both strange and grotesque in the imagination of a four year old; moments of brilliance followed by longer spells of total darkness with only the angry rumble of the thunder to keep me company. In this environment and at this particular stage of life, I did not perceive a lightning storm to be the beautiful display of nature’s power that I do today and I found myself becoming more and more frightened by the minute and when I would see the flash, I would hide under the blanket until I heard the thunder rolling in. Just as I was almost to the point of needing my parents, I heard the sounds of that song coming from the massive hi-fi system my parents had in the living room, the soothing sounds of Art Garfunkel’s voice raised in song, the orchestral violins and the powerful piano combining in a perfect harmony, surrounding me like a warm blanket and banishing the darkness from the room. The words did not yet make sense to me but the music and the voice resonated within me, shining light into the darkness. The lightning still flashed but not as brightly and the thunder still rumbled but not as loud and at points, it almost seemed in rhythm with the music in places as though it had been invited to be a participant in the show. The song worked its power far better than anything else could have. I cannot hear that song today without thinking of that moment when my fears were calmed and peacefulness washed over me and I have carried that song in me ever since and he words now make perfect sense to me. There is power in music, of that I am convinced. Music and song, when all the right elements come together, has the power to lift our spirits when we are low, comfort our concerns when we are troubled, inspire us to push ourselves harder and encourage us when we lack the strength to go forward. When you hear the theme from “Rocky”, you can’t help but be inspired by the visual of Rocky Balboa pushing himself harder and harder to be the best; in fact, the scene would be dull and flat without it there. Music has the power to put us there in that moment and to excite us to inwardly cheer for him as he attains his victory. Music is a bridge to what inspires us the most bu more than that, music has the power to make us happy, just as catchy, happy songs sung over four decades ago made a small boy happy when he heard them. Just as our trip was coming to an end, another song came on the radio that I had not heard in such a long time that I must have locked away all memory of it in some seldom used corner of my brain. 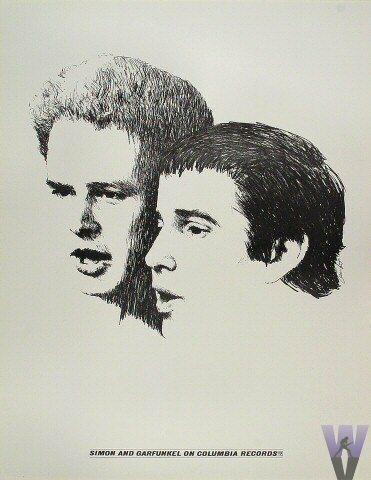 “Baby Driver” was one of Simon and Garfunkel’s songs that made me happy as a child, a great guitar piece with upbeat lyrics, and the kind of song that gets stuck in your brain. I was surprised at how quickly the lyrics popped back into my head and wondered where the song had been for so long. As I was driving along, I caught movement out of the corner of my eye and turned to see my son with a big, happy grin on his face, his feet bouncing and his head bobbing up and down as he moved to the beat of the music. I turned up the volume and I drummed my fingers on the steering wheel as he bounced in rhythm, enjoying a shared moment as I relieved an old song while he discovered a new one. Thank you, Paul and Art, for such a wonderful gift. Love me some Simon and Garfunkel! One of my very favs is the 59th Street Bridge Song (Feelin Groovin). It’s a cheeful little song that always makes me happy.